In recent days I spent some time at Western Springs watching birds – and then came the post processing. Black swans like these are abundant in New Zealand, whilst there are only small numbers of white ones. Great edit, perfect in B&W! Perfeita imagem dos cisnes…Lindo porte, bela imagem. Um abraço! 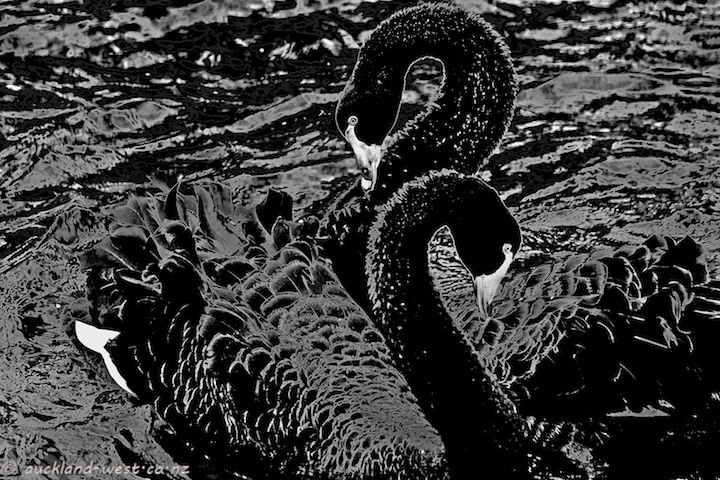 I like the processing of these black swans! Great Photo art!